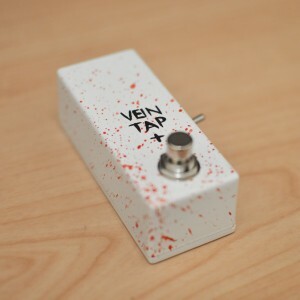 Why Would You Need a Tap Tempo Pedal with Polarity Switch? What is a Tap Tempo Pedal with Polarity Switch? Easy. A polarity switch is a little flick switch which allows you to choose whether your tap tempo pedal (or any footswitch, for that matter) is “normally open” or “normally closed”. Another easy one. If a switch is “normally open”, then clicking the switch means that it’ll make the contacts touch, and go back to keeping the contacts apart when released. “Normally closed” is the exact opposite: clicking the switch will break the contacts apart, and releasing it will allow them to come together again. I’ll tell you. Some effects pedals (the Marshall Echohead and the Eventide Timefactor, for instance) require normally open external tap tempos. Others, like most Boss pedals, prefer normally closed (though they can be used interchangeably, most people prefer to stick with the correct type as this means the tap is registered on the down press as opposed to the release of the tap pedal – see the Advantages of a Normally Open Switch video for more details). So which do I need? As a general rule of thumb, if you’re using a Boss or Roland product, you’ll be needing a normally closed footswitch. Other brands of effects pedals largely prefer normally open, although this is a bit of a generalisation – without Contacting Us to make sure which one you need, it’s tricky to be sure. Is there no end to this confusion? Of course there is, you didn’t think Vein-Tap.com would leave you in the dark, did you? Oh no. There’s a very cool Vein Tap that you can select between normally open and normally closed functionality. There, all in one stylish pedal, is the answer to your problems. It’s called the Vein Tap Plus, and it will, it will rock you. Not only have you now shaken your confusion aside like a mighty warrior shakes off goblins, you’ve also got a tap tempo pedal with polarity switch that is cross-compatible with all the gear you own which can make use of an external momentary switch. The Vein Tap Plus does the lot!